Popping with color and wonderful application of "effects" in post processing. Gerbera Daisies are among my absolute favorite flowers! 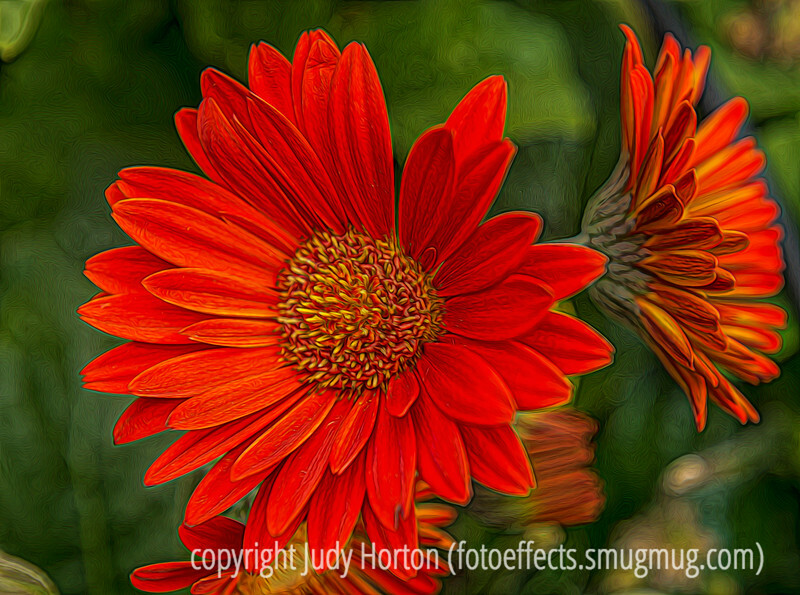 Judy, you did an outstanding job of capturing the vibrant colors, and details on this flower. I also like how you did the post processing on it too.